Xiamen Rowey Glass Industry Co., Ltd.
2. 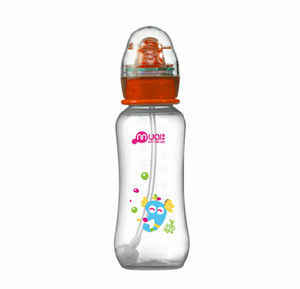 Pure and safe Heat and cold resistance Our glass bottle is heat and thermal shock resistant. 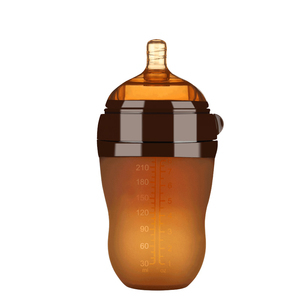 It can therefore be safely stored in the fridge, warmed, and is also suitable for sterilization. 3) Very strict quality control system at every process to ensure the quality of products. 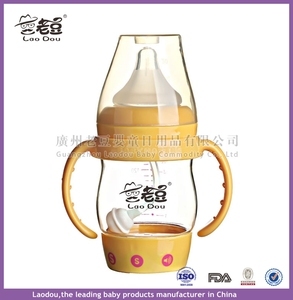 Zhejiang Maternal Love Babies Articles Co., Ltd.
Ningbo Happy Baby Mould & Plastic Technology Co., Ltd.
,Ltd is one of the most professional infant product manufacturers in China, locating in Jinhua City, Zhejiang Province. Q1 : W HY CHOOSE US 9 A: 1. We produce material by ourselves, which makes more competitive price and faster delivery. 2. We provide ODM/OEM service and submit Various styles, latest designs every month to our clients. Baoding Nanming Trading Co., Ltd. 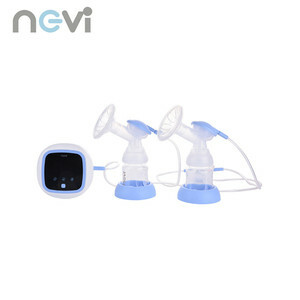 The fashion two color handle, humanized design, nano technology silver suction cup effectively inhibit bacteria. 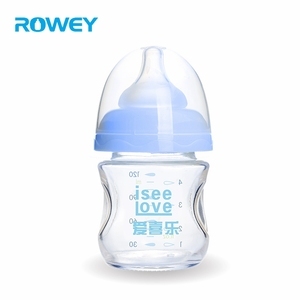 The bottle body scale is clear,Accurate match against the proportion of milk and water,wide diameter bottle opening design. 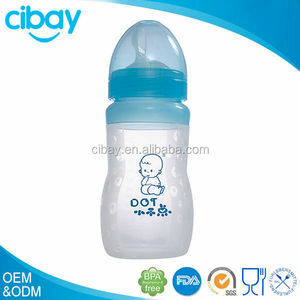 It is easier to add milk powder,not easily contaminated bottles,easy to clean,Mom USES less time and energy. Ningbo Dione Industrial Co., Ltd. Different printing methods available, like: silk screen printing, pad printing, transfer printing and etc. 13 Delivery Time Usually 10-30days, dependent on the order quantity and other details. 14 Samples cost Free charge for existing sample, freight collect 15 Price Favorable and competitive price in the market and high product quality. 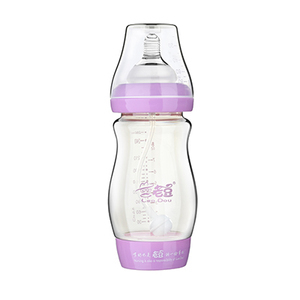 TAIWAN GING YEE CO., LTD.
BPA free 5oz PP Baby Feeding Bottle with Music (0%bisphenol A) 1) Made of 100% PP health-grade material; 2) Non-BPA, non-phthalate; 3) Non-toxic and without odor. 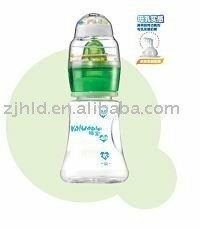 More Product Details: Type PP Baby Feeding Bottle Capacity 5oz Material PP Certification EN71.EN1400.EN14350 FDA Place of Origin China Brand Name Momeasy Model Number 47538 Payment & Shipping Terms: Minimum Order Quantity 5000pcs Delivery Time 45 days after receipt of deposit or L/C Payment Terms L/C at sight, T/T in advance Supply Ability 500,000pcs/month Our factory: Welcome to visit our factory! 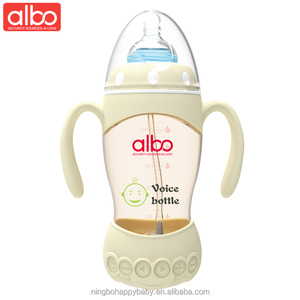 2015 Brand New Music Circular big Baby Bottle (normal caliber), New baby products.